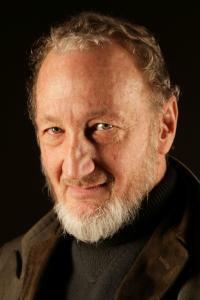 Robert Barton Englund is a 5' 9 (1.77 m) American trained actor, voice actor, singer, and director. He was born on June 6, 1947 in Glendale, California. His father John Kent Englund is an aeronautics engineer that helped with the Lockheed U-2 airplane, and his mother’s name is Janis. He can speak Swedish and has Swedish and Danish ancestry from his father side and Scottish ancestry from his mother side. He enjoyed surfing greatly and spoke about his love for surfing on Entertainment Tonight in 1981. Robert Englund was in college while he married his first wife Elizabeth Gardner on September 15, 1968 and divorced her on January 2, 1986. He was with Roxanne Rogers from 1986-1988. He has been married to Nancy Booth since October 1, 1988 and has no children. Nancy and Robert met while working on his directorial debut 976-EVIL. Robert is an only child and resides on Laguna Beach, California with his wife Nancy. His first acting appearance was in Eaten Alive in 1977. He then appeared in Galaxy of Terror, V: The Final Battle, and V: The Series, which made him seem as a redneck, nice guy or nerd. He went against his good roles and accepted to be a child murderer and psychopathic burn man known as Freddy Krueger in 1984 Wes Craven’s A Nightmare on Elm Street. He is famous for playing Freddy Krueger in the Nightmare on Elm Street movie series. Robert is described as being extremely friendly and thankful of his fans which is the exact opposite of his character, Freddy Krueger (very scary man) portrays him to be. He has made over 140 appearances in movies and television shows. He was ranked #51 on Premiere Magazine's 100 Greatest Movie Characters of All Time for his role as Freddy Krueger in A Nightmare on Elm Street (1984). His role in A Nightmare on Elm Street brought national fame to him which made him become the new star icon that surpassed 1960’s Sir Christopher Lee and Peter Cushing. His horror stardom lead him to have leading/higher roles in The Phantom of the Opera (1989), The Mangler (1995), and 2001 Maniacs (2005). He was interested in acting at a young age and started studying acting at the age of twelve at California State University, Northridge. Robert attended the Cranbrook Theatre School, in Bloomfield Hills while attending high school. He attended California State University for three years and then transferred to Michigan's Oakland University to further his studies at the Meadow Brook Theater. He taught a stunts and stage fight class at the Academy of Dramatic Art while at the regional Meadow Brook Theatre. Robert and Doug Bradley are the only two actors to act out the role of the same horror character eight consecutive times. Robert portrayed Freddy Krueger in the Nightmare on the Elm Street Series and Doug portrayed the Pinhead character from the Hellraiser film series. Robert was the host three times for the Horror Hall of Fame awards from 1989-1991. Alan Goldsher transcribed from Robert Englund dictations, a memoir, Hollywood Monster: A Walk Down Elm Street with the Man of Your Dreams, was published by Pocket Books on October 13, 2009. Freddy Krueger is a great politically incorrect villain, the logo character of a franchise spawned by a low-budget movie, made by some reasonably artistic people who came up with a gimmick. And it is a great gimmick - the idea that a bogey man, a revenge-motif serial killer could manifest himself in the subconscious of the children of the people that did him wrong. Freddy likes it, he is having fun doing it. He is unapologetic about that. You have a punk-rock nihilistic villain. The last time we had Freddy in reality was part two and Freddy sort of went out on his own. You're going to have to surrender a little bit to the contrivance of how Freddy and Jason get together. I think superheroes today are like whistle blowers. I have friends that are much better actors than I am that had to quit the business because they couldn't survive the auditions or the rejections, or people just didn't realize how good they were. I would like to see the technology used to explore more period horror genre works, for example, E. A. Poe. Most of my nightmares involve me forgetting my lines in a stage play. When I was 9, I went to a birthday party. We were supposed to see a cowboy movie, but the programming got screwed up and we saw The Bad Seed (1956) instead. Horrifying. For years I was frightened of girls with pigtails. And in Freddy vs. Jason I like when Jason and I double team Destiny's Child. I get a lot of teenagers going, 'Yo, Krueger,' and honking their horn and giving me the claw. Yeah, I'm recognized. I saw an entire magazine of Freddy Krueger tattoos. Hey, I'm a classically trained actor who was doing [Anton Chekhov], and now there are thousands of people walking around America with my tattoo on them. I just take it as pop culture.